Sending your team out to play in hot sunshine wearing hats that adhere to Australian Safety Standards and Cancer Council recommendations is sure to put your mind at ease. They will be adequately protected and free to enjoy the game. 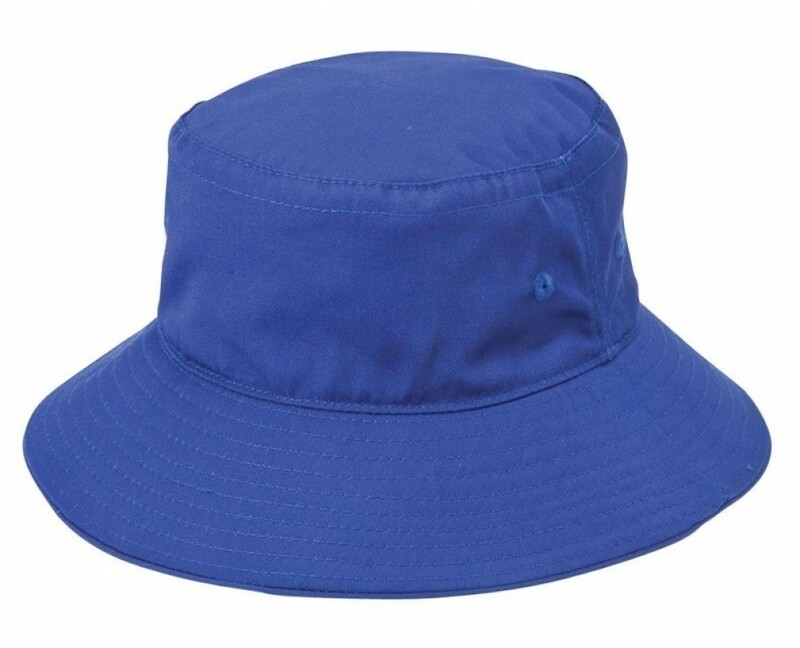 This hat is manufactured from a blend of 65 percent polyester and 35 percent viscose, a material that is durable and strong, will never fade and is easily maintained. The caps are easy to care for by washing in lukewarm water and allowing to air dry. Do not crush or wring and your hat will remain a great accessory year after year. All our hats are made to the highest standards with strict quality controls at each stage of the process. The hat has a UPF rating of 50+ which is classed as "Excellent Protection"and the design offers a 6.5cm brim for ultimate sun protection. This hat comes in a choice of bright bottle. Maroon and royal, fun colours that make a perfect backdrop for your corporate logo, team emblems and school badges. Make this hat part of your team uniform, corporate uniform or school outing gear and create an harmonious look that will get your brand seen. Pricing includes 8k embroidery of your graphic which can be placed on the peak, sides or back of the hat. Embroidery can accommodate the multiple colours of your logo and graphics. A set up of $50 applies for orders under 50 units Pricing excludes GST. Delivery within Australia only. Full colour print onto this headwear is available upon request.